In the early 1920s, the American astronomer Edwin Hubble made a remarkable discovery that changed our view of the Universe forever. He found that distant galaxies are all speeding away from each other, which led him to conclude that the Universe is expanding. Remarkably, George Lemaitre, a Belgian physicist, had already predicted such an expansion from Einstein’s general relativity. Lemaitre’s work (together with that of the Russian physicist Alexander Friedman), bolstered by Hubble’s observations, led to the inference that the Universe had expanded continually from a state of an infinite energy density a finite time ago! This catastrophic moment of the Universe's birth, now called the Big Bang, is calculated to have happened around 14 billion years ago. This hasn't been easy to accept — that the Universe was born a finite time ago, as it raises the uncomfortable question of what was happening before (it came into existence). Indeed, although Lemaitre arrived at the Big Bang origin of the Universe from Einstein’s theory, Einstein famously remarked to Lemaitre in 1927: "Vos calculs sont corrects, mais votre physique est abominable (Your calculations are correct, but your physics is atrocious)". Way into the second half of the 20th century, astronomers were still divided into two groups — those who believed in the Big Bang model and those who believed in what was called a Steady State model, in which the Universe existed for ever. 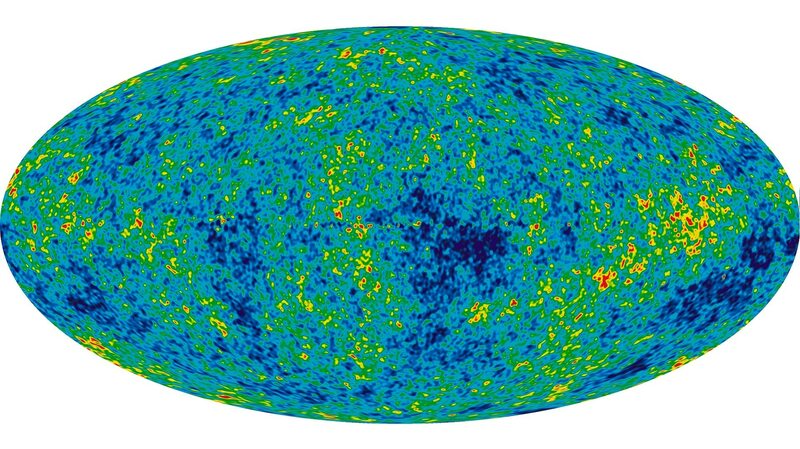 It took another discovery in 1965 by astronomers Penzias and Wilson, of a Universal relic of the Big Bang, permeating all space in the form of a cosmic microwave background (CMB) radiation, to turn the scales in favour of the Big Bang model. Mathematically, doubts about the Big Bang origin, technically called the 'initial singularity', still persisted. Lemaitre et al had deduced a Big Bang Universe from Einstein’s theory assuming a high degree of symmetry. What if the Universe was asymmetric in the beginning? As Einstein’s equations are one of the most formidable sets of equations ever written down, is it possible that other solutions, with a high degree of asymmetry, behaved differently and avoided the initial singularity? Stephen Hawking and Roger Penrose from Cambridge University nailed the answer by proving a series of mathematical results, called singularity theorems, drawing on the profound insights of an Indian cosmologist, Amal Kumar Raychaudhuri. These results stated that, provided that the matter and energy pervading the Universe satisfied some reasonable conditions, the initial singularity is inevitable — howsoever asymmetric the Universe was in the past. Did Hawking and Penrose’s work, then, conclusively prove the Big Bang origin of the Universe? It turns out that the history of the Big Bang model is full of twists and turns. It was soon discovered that there were some serious problems with the Big Bang model. These problems particularly came to the fore when it was found that the CMB radiation mentioned earlier, was inexplicably uniform wherever one looked (to 1 part in 100,000). Now why is that a problem? The point is that, at every instant of time, there is only a certain part of the Universe that we are able to see, whose boundary is called the horizon. Light from regions very far away simply has not had time to reach us, because the Universe has a finite age. If the galaxies were not speeding away, as time goes, we would see more and more of the Universe, because light from those galaxies would have enough time to reach us. It turns out that the expansion of the Universe in the Big Bang model is too gentle to change this conclusion. Thus, we see more of the Universe than before, in particular compared to the time when the microwave radiation was created (from some colliding matter particles). Why is this a problem? Basically, the microwave radiation is expected to be of a uniform nature when it was created by particles within the horizon at that time. Our current horizon is the size of many, many horizons of that time, hence the microwave radiation has no reason to be uniform across such vast distances! This so-called “horizon problem” was solved by postulating an early era, called the inflationary epoch, in which the Universe expanded so fast that the horizons shrank. In other words, in the inflationary epoch the fabric of the Universe expanded faster than light! It turns out that the inflation postulate solved several other nagging problems with the Big Bang model. Is the postulate consistent? Well, it was found theoretically consistent with Einstein’s equations, provided a special kind of slow-moving matter — nicknamed inflaton — dominated the very early Universe. Do we have any observational evidence of such matter? Not yet, but finding such matter is a very active area of investigation both from the theoretical and observational point of view. On the theoretical side, theories of very early Universe such as String Theory have a plethora of particles which can act as inflatons. Models of such particles appeared in 2003 in an influential work done by TIFR physicist Sandip Trivedi together with American physicists Shamit Kachru, Renata Kallosh, Andre Linde. This and related work potentially lead to models of inflation with the desired behaviour described above. With all the ingredients described above, can we now say that we finally have a theory of the origin and evolution of the Universe? Well, the story is not over yet. 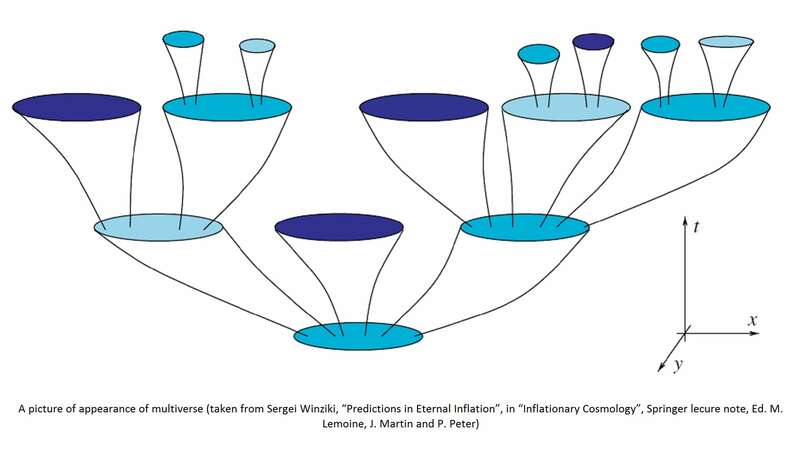 With inflation typically comes the story of multiverses! There are several different viewpoints which lead to the conclusion that in a typical theory of inflation, various parts of the Universe are in different phases of inflaton matter. This is somewhat like saying that the Universe is a heterogenous mixture of ice in one place, water in another, and steam in yet another. If the matter content is complicated, such as in string theory, one can have myriads of phases. Furthermore, somewhat like water at slightly less than zero degree Celsius (supercooled water), we can have unstable phases. Again, just like on adding a single crystal of ice, the supercooled water quickly freezes, in the Universe, we can have unstable phases, in which more stable phases can grow very quickly. The consequence of this kind of a heterogeneous mixture of a large number of stable and unstable phases is that different phases undergo inflation at different speeds. Thus, an inflating Universe can sprout a number of "pocket universes" each inflating at different speeds, which, further, can sprout different daughter universes of their own. This process can go on ad infinitum, and is called eternal inflation, with the inevitable notion of myriads of universes (the full set being called a Multiverse). Stephen Hawking, together with James Hartle, was also led to the same conclusion from a slightly different viewpoint. They considered the whole Universe as a quantum mechanical object, in which the various phases described above occur with a certain probability amplitude, by the standard postulate of quantum mechanics. 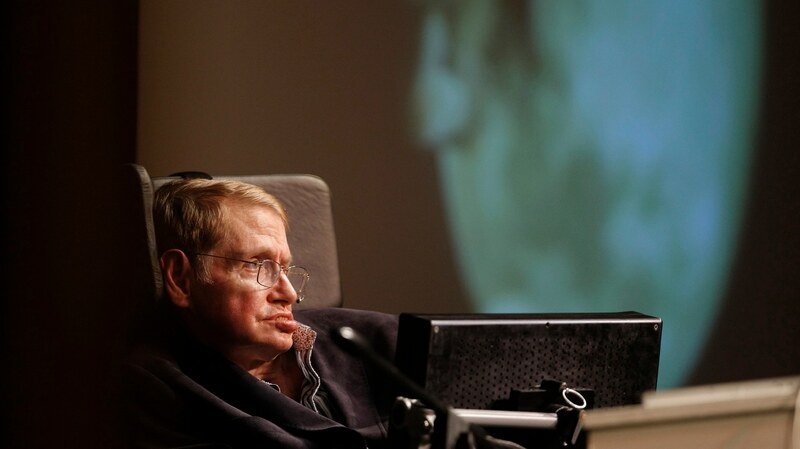 Although this work earned Hawking the epithet of one of the originators of the multiverse theory, he himself found the idea quite repelling, as is evident from his remark in an interview in 2017: “I have never been a fan of the multiverse,” he said. To understand this statement, we need to understand the real import of the multiverse idea. The essential significance of the multiverse idea is that “our universe” could be any of these daughter universes, with the laws of physics decided by which of these phases prevail in this particular universe. Unlike in a single Universe, where one could predict the evolution of all forms of matter and forces and predict the future from a given initial condition, in a multiverse, the laws of physics are a matter of chance and one cannot deduce them from a fundamental principle. This is indeed a rather unsatisfactory state of affairs and Hawking was quite rightly unhappy with it, as are a host of other physicists. It is amazing that a glimmer of an idea of how the above conundrum can be resolved comes from Hawking himself, in his last ever work with Thomas Hertog. Essentially, in this paper, they use some techniques from String Theory to argue that the quantum mechanical probability amplitudes are not spread evenly among all possible phases, only certain phases are preferentially picked out. It is merely the beginning of an idea, but if true, it might restore sanity again, and limiting the multiverse, might bring back the power of prediction to Physics. 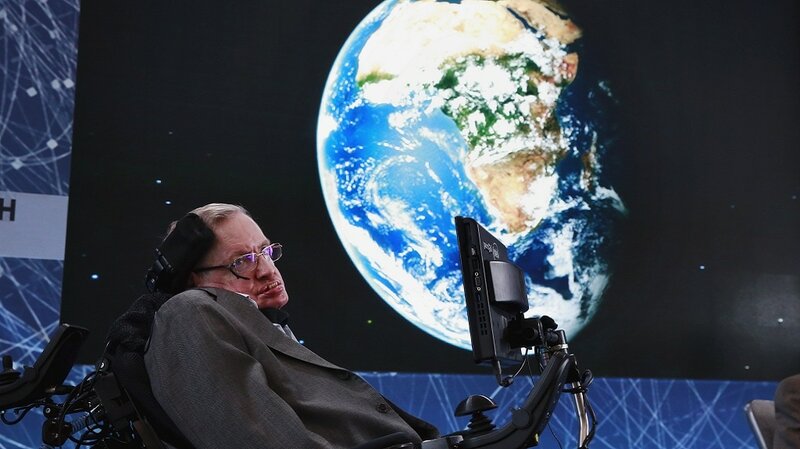 Hawking’s work throughout his career has had a deep impact on our understanding of the nature of the Universe (or multiverse), all the way till his last published work. This is quite besides his other phenomenal work on black holes and the information loss paradox. One can hardly find stronger testimony to the profoundness of Hawking’s contributions.